Cuba, long the subject of a trade embargo from America, finds it difficult to get its hands on Microsoft software legally. Given that MS Office formats are the global standard, it makes things rather difficult for the island nation, so the country has decided to put its eggs in the Open Source box. 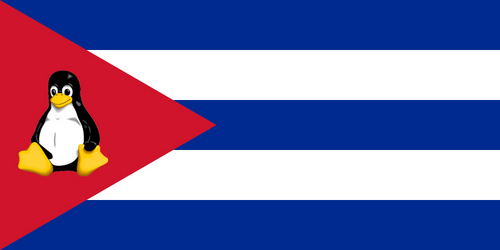 Cuba has developed its own variant of Linux, called “Nova”. It was introduced at a Havana computer conference on “technological sovereignty”, the Cuban government’s desire to become more technologically independent from America. About 20 percent computers in Cuba currently run Linux – but sales of computers to the public only started last year. The dean of the School of Free Software at Cuba’s University of Information Sciences, Hector Rodriguez, says “I would like to think that in five years our country will have more than 50 percent migrated (to Linux)”. Previously known as “Nova”, Palm has just rechristened and launched its new OS “Web OS”. It’s an amazingly dreary name for a concept that could reshape how we use our mobile mobiles. The bottom line is that Palm is bending head-over-heels to make their platform easy for developers – so easy that they reckon anyone who knows HTML, CSS and XML will be able to write an app. The UI is very iPhone-like. You flick the display to scroll around, and there’s various gestures that you can use, too. Everything’s managed with a ‘cards’ metaphor, where you see a deck that can be rotated with a finger and shuffled. The biggest feature, though, is something called “Synergy”. CrunchGear has managed to get some info on Palm’s new smartphone, which they claim will be launched on Thursday. There’s no name or anything yet, but there’s some basic info. It’ll be portrait-oriented, touchscreen, and it’ll have a slide-down QWERTY keyboard. 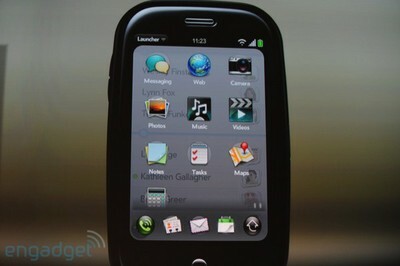 It’ll run Palm’s new Nova OS, which is being called “amazing”. As well as your regular Palm contacts and calendar stuff, you’ll also get some media playback functionality, but there’s no word on formats or anything else yet. As soon as we hear more, we’ll share it.